Dawn is a native of Berks County who was raised in Mohnton. She is a graduate of Governor Mifflin High School. She attended the University of Pittsburgh and graduated with a Bachelor of Arts Degree in Criminal Justice from Alvernia University in 1982. She received her Juris Doctorate from Widener University in 1988 where she was a member of the Phi Delta Phi legal honor society. She also received the American Jurisprudence award in Ethics upon her graduation. During her final year of law school, Dawn also worked as a law clerk for the Honorable Albert A. Stallone. Upon graduation, Dawn began her legal practice as an associate with Jeffrey K. Sprecher until he was elected a Judge of the Berks County Court of Common Pleas. She then was an associate with Linton, Distasio and Giannascoli. Dawn then served as the Custody Master for Berks County, from 1992 until 2001. While working for the County, Dawn was the only Custody Master in Berks County and dealt with every custody case filed in Berks County during her tenure. Dawn returned to private practice in 2001 where she focused on representing parties in divorce, custody, support and adoption actions as well as helping families with estate planning and estate administration needs. 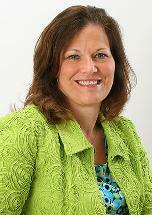 In 2005 Dawn joined with Ann Endres to form Palange & Endres, P.C. a law firm located in Wyomissing with a practice concentrating primarily in family law issues. Dawn is a member of Pennsylvania Bar Association, Family Law Section and the Berks County Bar Association where she currently serves on the Board of Directors and was formerly the chair of the Family Law Section and for Justice wills Strong Inns OF Court, where she formerly served as president. She is also a member of the Justice William Strong chapter of the American Inns of Court where she serves as the vice president, and the Endlich Law Club. She is currently a school director for the Governor Mifflin School District. Dawn resides in Brecknock township with her husband Joseph and their dog, Gia. They have 3 children: Jessica, Matthew and Joey and two grandchildren.